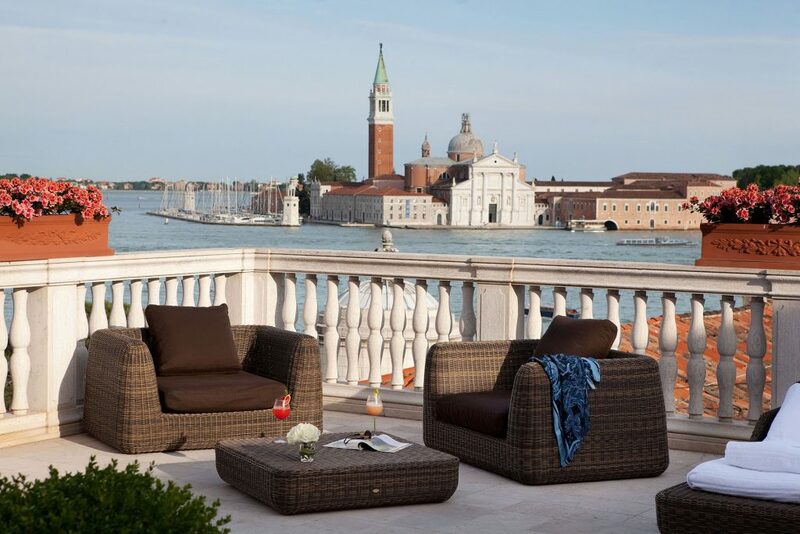 At sunrise, adorned in bespoke atelier couture and soft pink Rupert Sanderson heels, I arrived by gondola to the doorstep of the Luna Hotel Baglioni Venice. 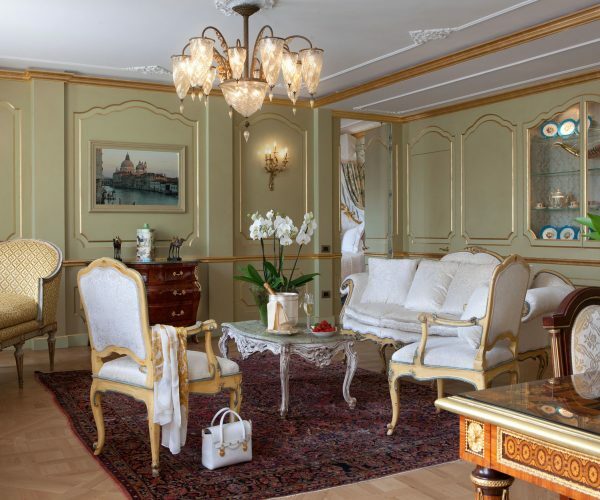 Beautifully lit and filled with a hand-picked selection of artwork – oil paintings, antique furniture and refined crystal chandeliers – the noble Luna Hotel Baglioni glowed. The hotel is a historic building dating back to the 12th century and housed the Knights Templar in 1118 when the carnivals in Venice started to take place. Gimbattista Tiepolo’s art students created beautiful frescoes in the 18th century which decorate the golden interior to this day. Now, the hotel is refined and modernised, with luxurious Ortigia bath products, full amenities, delicate chocolates on your pillow, Baglioni slippers and bath robes, room service, and some of the best customer service I have ever experienced. Our first night we dined in the hotel’s Canova Restaurant which was winner of the Fogher d’Oro and Gambero Rosso awards. We had delicious fish, red lobster, monkfish, prawns, carré of lamb, a beautiful selection of wines and a wonderful assortment of puddings including an amazing zabaione and a dainty, delectable tiramisu. We had an exciting tour of the property by the lovely, art-enthused and charming hotel manager Gianmatteo Zampieri. 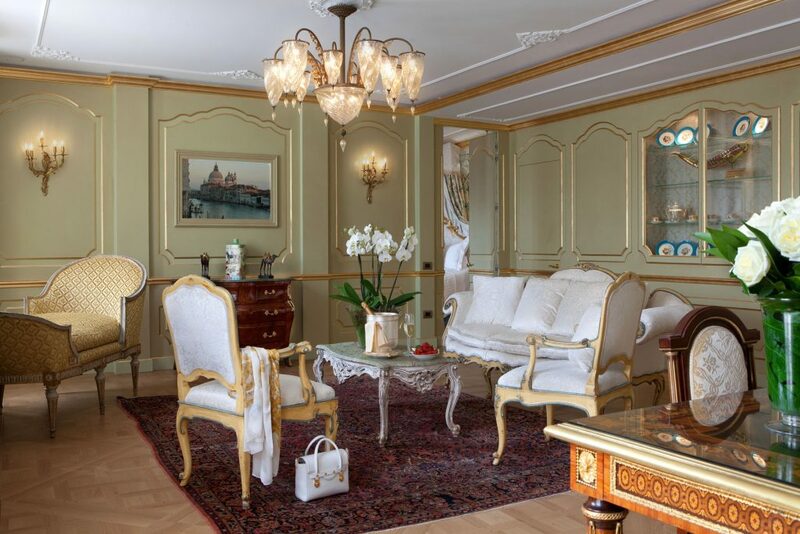 He showed us an exciting addition to the Baglioni Suites collection, launched in May 2014, which represents the excellence of Italian craftsmanship and highest standard of hospitality: the brand new San Giorgio Terrace Suite. Designed by Rebosio + Spagnulo from Milan, the suite is a spacious 150 square metres, decorated with Venetian and French antiques, linens, Carrara and grey stone marbles, wood panelled walls, Venetia Studium Fortuny lamps, handmade Versailles parquet, and an incredible 100 square metre private outdoor terrace overlooking the water and St Mark’s Square. If you are lucky enough to book this epic suite with master bedroom, second bedroom, dining and living area, two bathrooms, kitchen and terrace, you will have access to a selection of exclusive amenities with includes your very own private butler, the hotel’s dedicated concierge service and your very own cooking class in the suite with private chef. 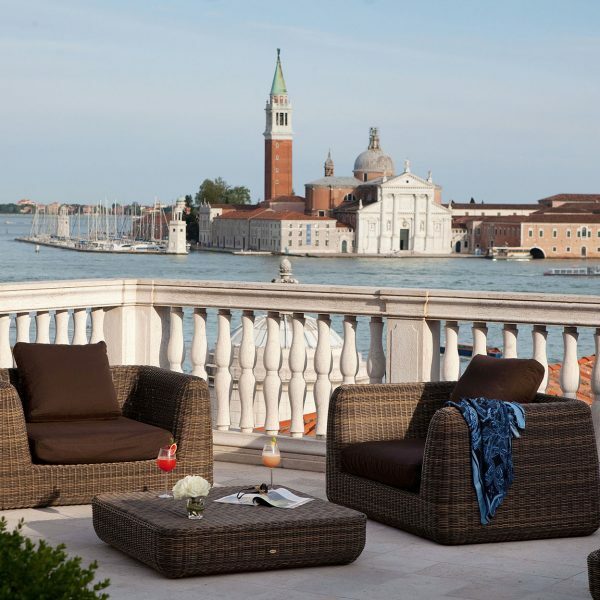 This year celebrates the Baglioni Hotels 40th anniversary so I would thoroughly recommend going to Venice to celebrate with them.